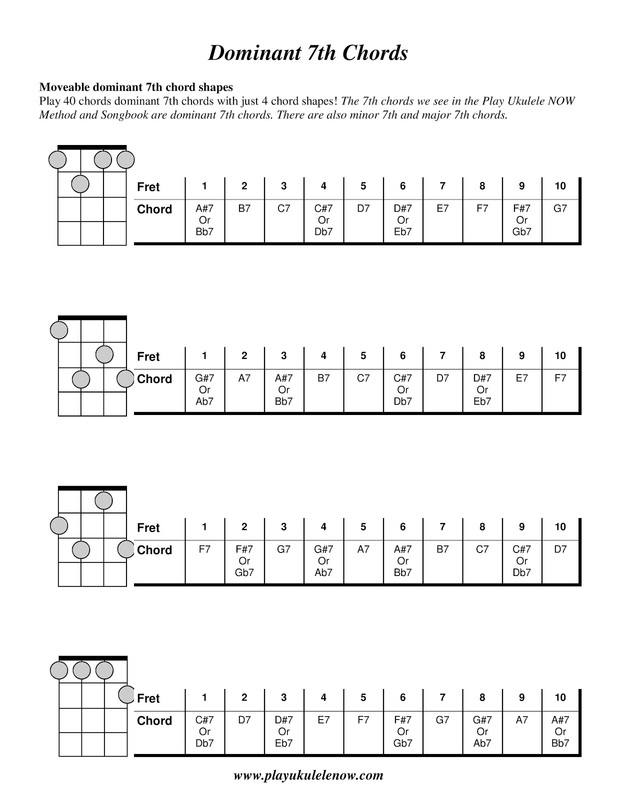 These chords use all of the strings, there are no open strings. 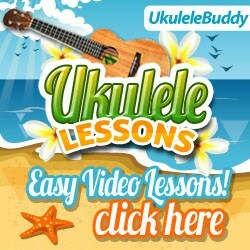 You will need to know chords like this because there are some accompaniments you will learn here, very soon, that require chords with no open strings and without these special chords - those accompaniments can not be properly played at all. 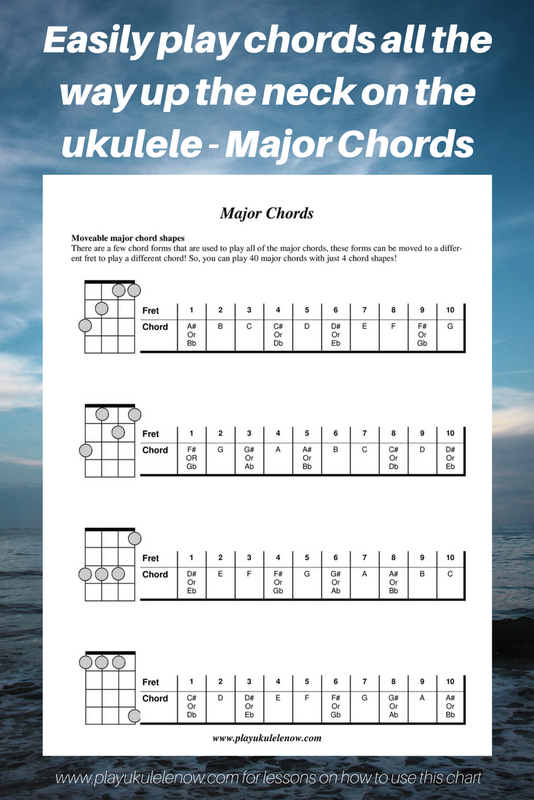 If you have the Play ukulele NOW Method and Songbook you will find not only the charts that are used here but some additional ones in the back of the book. 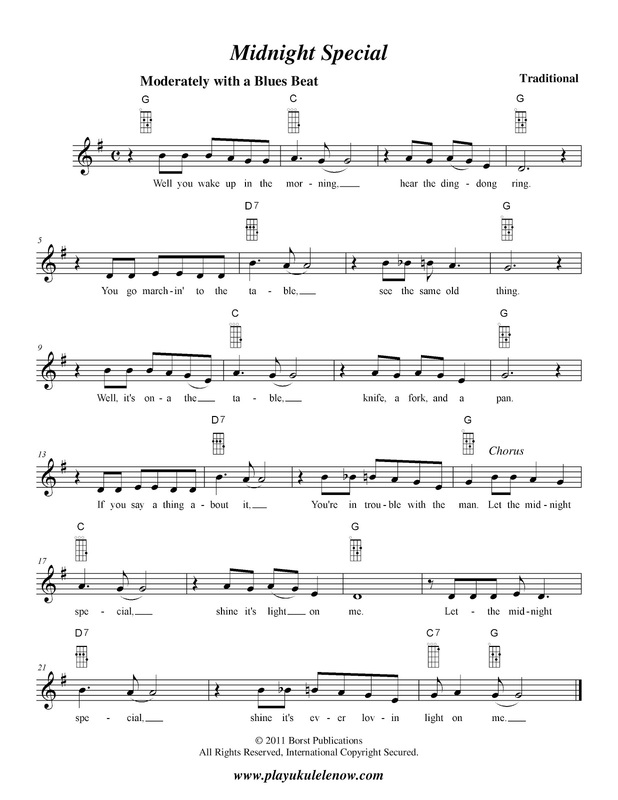 First let's try the song, Midnight special. 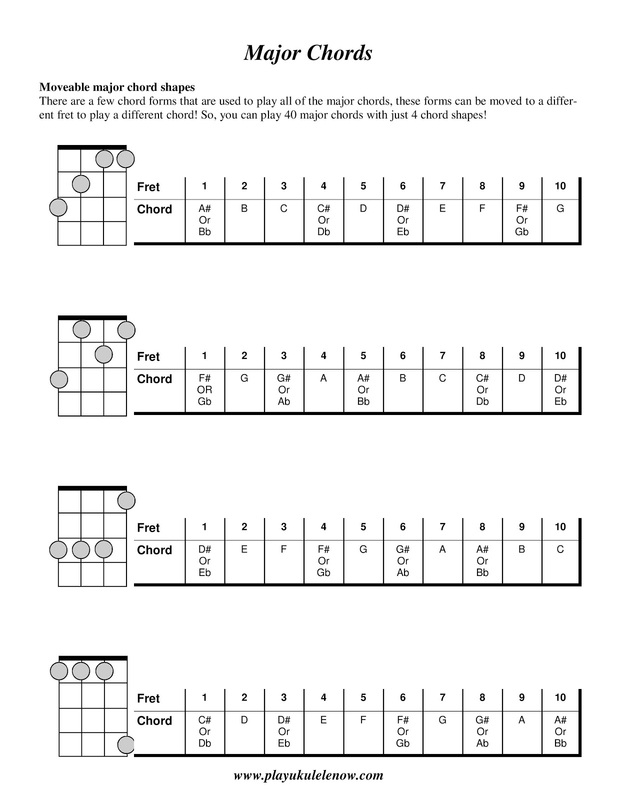 First, find chords as close together as possible on the chord chart. There is a G on the 2nd fret, and a C on the 3rd fret, and a D7 on the second fret. 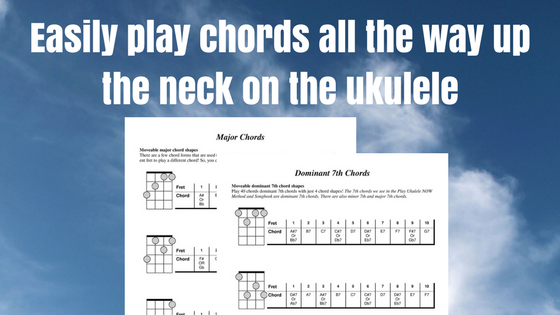 Those chords are the closest together ad require very little left hand movement. 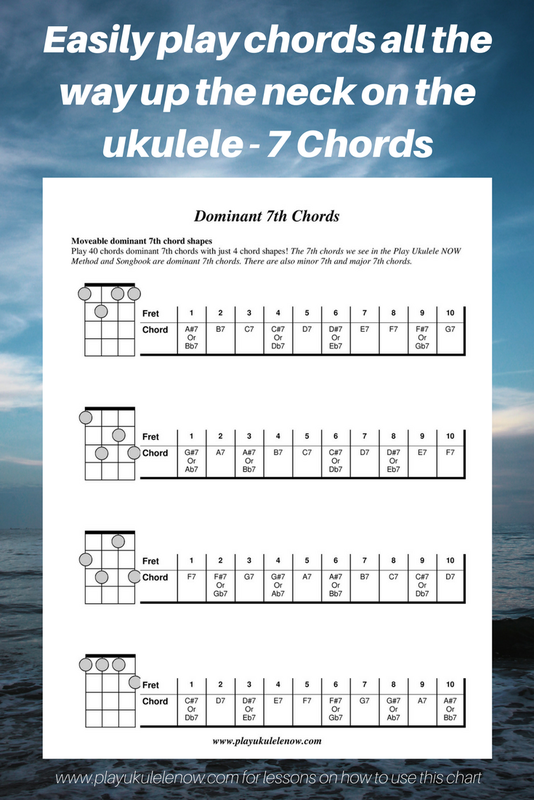 Below are some very basic progressions using the principal chords in a few keys, you'll find more on principal chords in the in the Play Ukulele NOW Method and Songbook. repeat each progression a number of times before moving on. 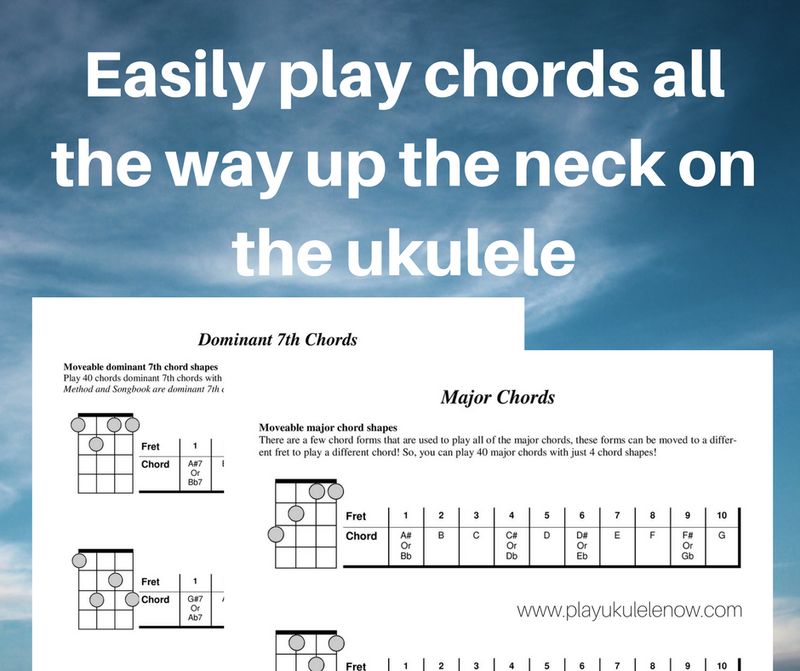 Now try the above progressions in a different place on the neck with different chord shapes.